We are seeing many extraordinary events occur this campaign season, and that is because we have an extraordinary man running for president – Barack Obama. And one extraordinary thing that we see happening on a daily basis is lifelong Republicans choosing to SUPPORT BARACK OBAMA. Indeed, countless Republicans have approached Barack Obama himself and told him that they SWITCHED PARTIES because of him. You see, Barack Obama TRANSENDS partisan politics. He is the candidate of ALL people, not just Democrats. 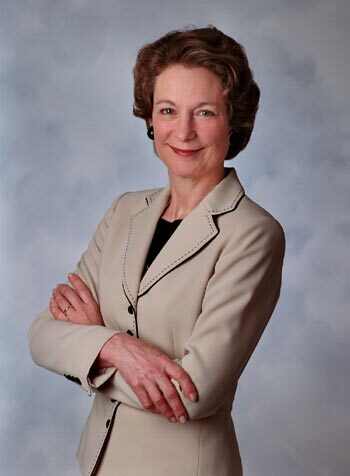 Susan Eisenhower, a lifelong Republican and the granddaughter of Dwight D. Eisenhower, wrote a compelling article that appeared in the Washington Post in which she stated why she is BACKING OBAMA. To all Republicans, I suggest that you listen closely to Susan Eisenhower and the innumerable others who believe that Barack Obama is THE BEST CANDIDATE for president. Please do not allow partisan politics and BLIND PARTISAN LOYALTY to preclude you from voting for who is truly the best person for the job – Barack Obama. Below is Susan Eisenhower’s article. Forty-seven years ago, my grandfather Dwight D. Eisenhower bid farewell to a nation he had served for more than five decades. In his televised address, Ike famously coined the term "military-industrial complex," and he offered advice that is still relevant today. "As we peer into society's future," he said, we "must avoid the impulse to live only for today, plundering, for our own ease and convenience, the precious resources of tomorrow. We cannot mortgage the material assets of our grandchildren without risking the loss also of their political and spiritual heritage. We want democracy to survive for all generations to come, not to become the insolvent phantom of tomorrow." Today we are engaged in a debate about these very issues. Deep in America's heart, I believe, is the nagging fear that our best years as a nation may be over. We are disliked overseas and feel insecure at home. We watch as our federal budget hemorrhages red ink and our civil liberties are eroded. Crises in energy, health care and education threaten our way of life and our ability to compete internationally. There are also the issues of a costly, unpopular war; a long-neglected infrastructure; and an aging and increasingly needy population. I am not alone in worrying that my generation will fail to do what my grandfather's did so well: Leave America a better, stronger place than the one it found. Given the magnitude of these issues and the cost of addressing them, our next president must be able to bring about a sense of national unity and change. As we no longer have the financial resources to address all these problems comprehensively and simultaneously, setting priorities will be essential. With hard work, much can be done. The biggest barrier to rolling up our sleeves and preparing for a better future is our own apathy, fear or immobility. We have been living in a zero-sum political environment where all heads have been lowered to avert being lopped off by angry, noisy extremists. I am convinced that Barack Obama is the one presidential candidate today who can encourage ordinary Americans to stand straight again; he is a man who can salve our national wounds and both inspire and pursue genuine bipartisan cooperation. Just as important, Obama can assure the world and Americans that this great nation's impulses are still free, open, fair and broad-minded. No measures to avert the serious, looming consequences can be taken without this sense of renewal. Uncommon political courage will be required. Yet this courage can be summoned only if something profoundly different transpires. Putting America first -- ahead of our own selfish interests -- must be our national priority if we are to retain our capacity to lead. The last time the United States had an open election was 1952. My grandfather was pursued by both political parties and eventually became the Republican nominee. Despite being a charismatic war hero, he did not have an easy ride to the nomination. He went on to win the presidency -- with the indispensable help of a "Democrats for Eisenhower" movement. These crossover voters were attracted by his pledge to bring change to Washington and by the prospect that he would unify the nation. It is in this great tradition of crossover voters that I support Barack Obama's candidacy for president. If the Democratic Party chooses Obama as its candidate, this lifelong Republican will work to get him elected and encourage him to seek strategic solutions to meet America's greatest challenges. To be successful, our president will need bipartisan help.